All About Back-Roads Touring Co.
Back-Roads Touring is a long-established, unique small group touring concept offering fascinating and leisurely regional tours throughout the UK & Europe. With a maximum of 18 people per tour, you can be assured of a more intimate and relaxing travel experience. Journey through the UK and Europe and visit local areas that might otherwise be missed including Cornwall, the Cotswolds, The Lake District, Ireland, Wales, Provence, Loire Valley, Tuscany, Scottish Highlands and Lowlands, Italy, Sicily, Andalucía, Portugal, Croatia, Greece, Turkey, Switzerland, Germany, Austria and specialised Battlefields tours in France, Belgium and a special ANZAC Day tour to Gallipoli. You'll stay at unique, traditional accommodation with private facilities. The standard of accommodation varies around 3.5-4 stars and includes small hotels, guest houses, inns and the odd castle - each with its own particular charm. Back-Roads Touring Co. Ltd accommodation is chosen for their location, their architectural interest. Yet another benefit of travelling in a small group, is that you don't need a large chain hotel to accommodate everybody. Maximum of 18 passengers on each departure. Small n'friendly, particularly if you're travelling solo. Behind the tourist façade, meeting 'locals', avoiding the tourist traps. Please note Back-Roads Touring Co. Ltd tours are designed for the reasonably active and involve some walking (especially on Continental tours). Some itineraries may not suit those with mobility problems. Please ask Handpicked Holidays if in any doubt. Small groups mean that the daily schedule can be changed to take advantage of weather conditions, enjoy local events and the particular interests of passengers. Each evening the group discusses the following day's alternatives and there is scope for choice. Days of variety with something for all. Seeing both famous sights (when the crowds have left) and the not so familiar. Entrance fees (when with your guide) are included in the tour price. Please note that the detailed itineraries printed in these web pages should be read as guidelines, sites listed should be regarded as those possible, not that all will be seen. You will be part of determining which are seen on a daily basis as the tour is moulded to suit participants. No six a.m. morning calls, no rush to be at predetermined places, no fifteen-minute stops at places of interest, and definitely no 'commission' shopping stops. Please note that there are occasional and unavoidable longer drives on the longer tours when driving between major accommodation bases. Inevitably, when travelling in company some will have different ideas of what is the ideal length of time to spend at specific sites. You'll not be 'herded' and there'll be time to explore on your own in major towns (with Back-Roads' help, of course). On most tours there are opportunities for individuals to make alternative arrangements such as half day walks or visits to family or friends. 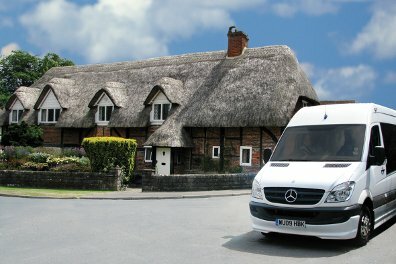 On the vast majority of tours we travel in Mercedes mini-coaches, or Mercedes Vito. Our spacious coaches boast comfortable, high-backed seats, a PA system, air-conditioning and large windows. Unlike conventional large coaches our mini-coaches can go almost anywhere a car can go and take you right into the heart of tiny villages via the beautiful back roads. No constant packing and unpacking. Wherever possible you'll stay in a single accommodation and use this as a base for daily explorations. Accommodation, whether a rustic rural, old country estate, traditional villa or castle hotel, is carefully selected to always reflect the character and charm of the destination you are staying in. Some properties are situated in a stunning setting or have interesting historical and architectural heritage; whilst others may be chosen for their owner-hosted welcome or excellent food. Character is not a substitute for quality and comfort however and at all of our hotels you’re guaranteed an en-suite, a great night’s sleep and delicious food. There is a choice of twin, double or single rooms and while room sizes in older European buildings may vary, each room will have its own unique style and character. Back-Roads Touring Co. Ltd companion/guides, both male and female, boast a wide range of backgrounds and abilities. Authors, college professors, adventurers, photographers, ex-service officers, sailors and even a member of the Royal Household! They are philosophers, diplomats, historians and entertainers but, above all else, they are dedicated to ensuring your comfort, safety and enjoyment. Optional theatre, visits to country pubs, lectures and fun! Thousands of repeat clients can't be wrong. 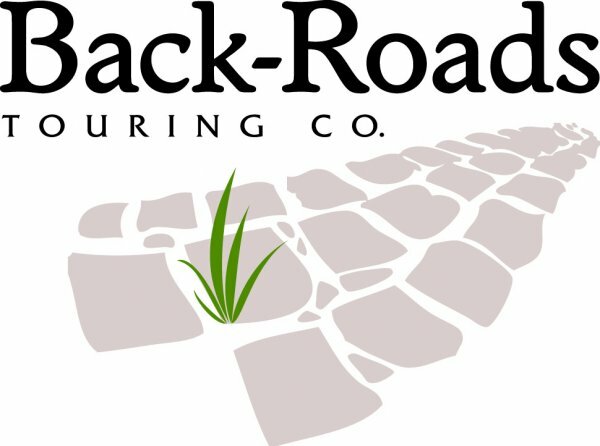 Back-Roads has a faithful following who have been taking their tours for years. With the ever-increasing popularity for small group touring, Back-Roads' appeal shows no sign of diminishing! Do you need help in deciding which Back-Roads tour covers the destinations on your travel wishlist or interest? Handpicked Holidays can quickly recommend which tours may suit you best and how best to coordinate your travel plans to suit tour dates. Contact Handpicked Holidays if you want TLC for Back-Roads Touring Co, personal service and product expertise. Join-in to one of our regular tour departures, or if you are travelling with friends, family or special interest group, we can arrange private tours for 2 to 100. You can charter one of our tours for exclusive use, or design your own itinerary. Contact Handpicked Holidays, specialists for Back-Roads Touring Co since 1997.